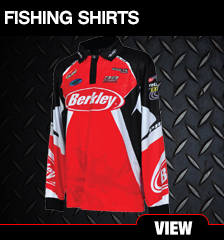 No matter what the conditions throw at you, there is always a Berkley product to throw back. 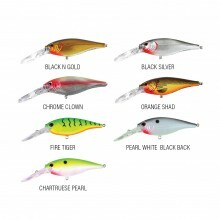 Frenzy Lures are the result of years of research into what actually triggers a fish to strike. 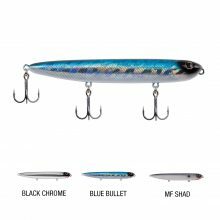 We have analysed the actions of the most effective hardbaits to create the best looking, best performing family of crankbaits ever produced. We know what triggers fish to strike more often. 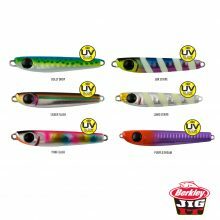 Our unique, lifelike patterns and highly reflective holographic finishes are designed to trigger strikes in otherwise inactive fish. 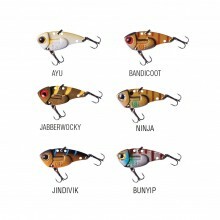 There is a Frenzy lure for all types of Australian fishing. 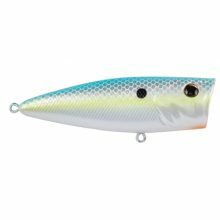 A slim profiled cup faced stick popper, the Pop Dog spits a subtle bloop when worked with the classic twitching popper retrieve, the perfect fleeing shrimp and small baitfish sound. When stationary the Pop Dog adopts a slightly back heavy position for a better hook rate when fish are slurping rather than smashing your surface presentations. 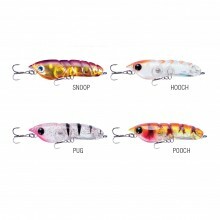 A killer bream surface lure, the Pop Dog is also going to be an absolute cracker of a whiting popper! 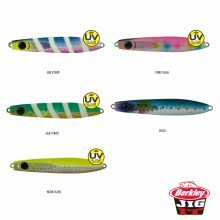 Long and straight casting is what you’ll get from the Pop Dog and when it hits the water, because of it very slim profile, fish will eat it straight away! Even without you turning the handle!! 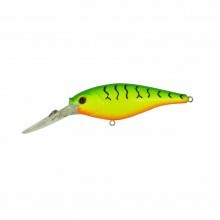 This is also one lure that is a master at catching big tailor! 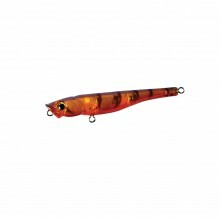 Everything eats a prawn…it’s just a real pity that most top water baits are minnow patterns. That was until now!! 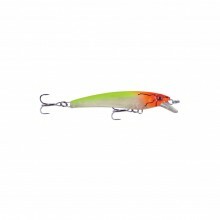 The 3B Prawn Dog has the X factor swim motion that puts it well above every other lure in its class when it come to taking fish from the surface. 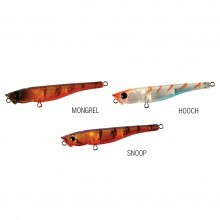 The Prawn Dog has got what you need to fool the fussiest fish – the most out of control, escaping prawn action ever and a great prawn profile. What-up Prawn Dog!! 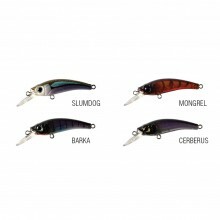 The 3B Prawn Dog series comes with OWNER #14 ST36BC trebles (45mm), OWNER #12 ST36BC trebles (55mm) & #0 P04 Ring. 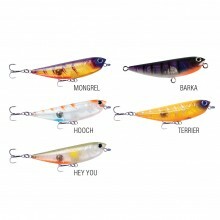 A Classic all-rounder in the minnow stakes, the Puppy Dog was developed as a clear water hard body for wary fish. With its smooth snake like action the Puppy will always work at its best with a slow flat retrieve, stop start retrieve or roll and twitch retrieve. 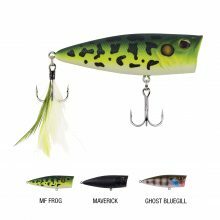 Working silently around fish (no rattles) and drawing only from the aesthetic aspects to lure strikes, the Puppy Dog is a killer in hard fished places where fish are spooky after the first cast. 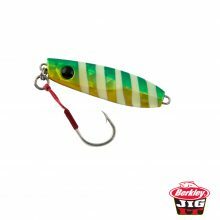 A short tight flick will see this hard bait spin out to left or right and roll slightly upward, giving the predators the indication of very injured prey and an easy meal. Slow rolled and the Puppy will ‘wallow’ side to side like a bait fish that is on its last legs and can’t find its school. 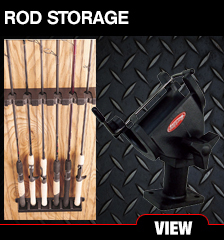 Put these two retrieves together for structured presentation and you’ll have a strike zone winning remedy for almost every fish you can think of. 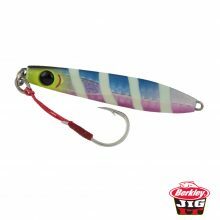 This lure is out of the box when it comes to sneaky and slow! 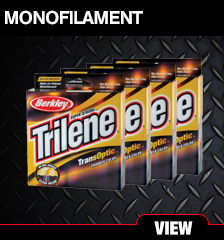 The 3B Puppy Dog series comes with OWNER #14 ST36BC trebles & #0 P04 Ring. 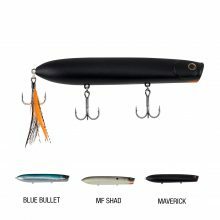 This classic surface profiled lure is one that you might have seen before but I guarantee you will never have worked a lure like this before! The Scum Dog is the easiest ‘walk the dog lure’ we have ever used…. full stop!! 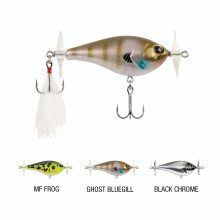 Some of the popular lures in this category are every hard to get ‘walking’ – and if you change the action just a bit, you lose it and get no action at all. Not with the Scum Dog. 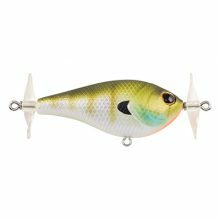 This is the perfect bream, whiting, bass, estuary perch and trout sized surface lure. 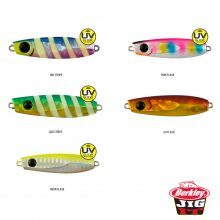 At 48mm and now the new 68mm size, the Scumdog has you covered for all situations So, whether you’re trying to tempt a bream out of cover or mimicking a spasmodic prawn along a weed edge, the Scum Dog has your size, shape and color covered from all angles. 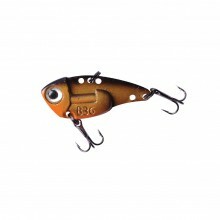 The 3B Scumdog series comes with OWNER #14 ST36BC trebles & #0 P04 Ring. 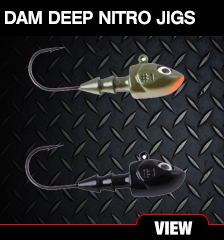 A classic fat slow roller or twitch bait, the Fat Dog gives you two diving depths to choose from for two completely different fishing options. The Deep Fat Dog is a gun rock wall and tree snag specialist. 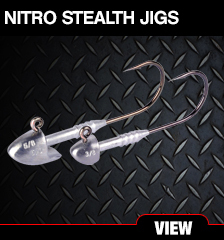 With a crazy deep bib to smash into the structure and wake the fish up letting you know when you’re right in the mix, this fast diving HB will serve you well when you have a deep short window strike zone. The Shallow Fat Dog is a blast and a half to fish! You can’t go wrong with this round ball of plastic and steel. 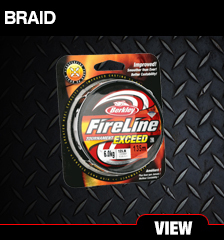 Pick one, tie it on, chuck it out and start winding….any other questions? 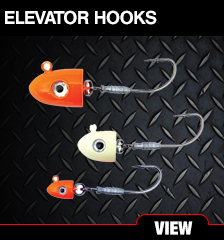 Seriously, it doesn’t matter what you want to catch, you will be more than likely catch it on the shallow Fat Dog. 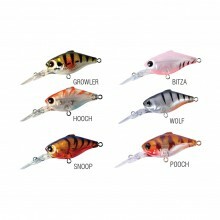 Fantastic lure for flats or over weed beds, from trout to bream and everything in-between. The 3B Fat Dog series comes with OWNER #14 ST36BC trebles & #0 P04 Ring. 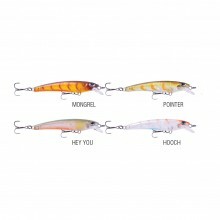 A Classic all-rounder in the minnow stakes, the Puppy Dog was developed as a clear water hard body for wary fish. With its smooth snake like action the Puppy will always work at its best with a slow flat retrieve, stop start retrieve or roll and twitch retrieve. 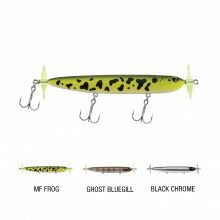 Working silently around fish (no rattles) and drawing only from the aesthetic aspects to lure strikes, the Puppy Dog is a killer in hard fished places where fish are spooky after the first cast. 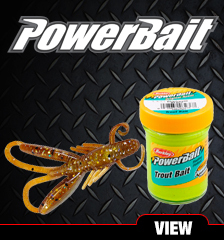 A short tight flick will see this hard bait spin out to left or right and roll slightly upward, giving the predators the indication of very injured prey and an easy meal. Slow rolled and the Puppy will ‘wallow’ side to side like a bait fish that is on its last legs and can’t find its school. 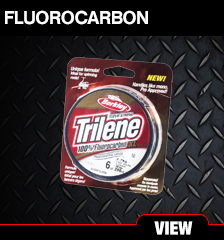 Put these two retrieves together for structured presentation and you’ll have a strike zone winning remedy for almost every fish you can think of. 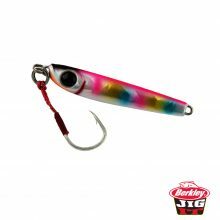 This lure is out of the box when it comes to sneaky and slow! 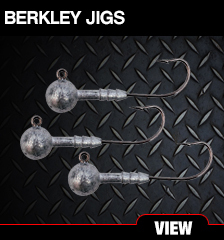 The 3B Walking Stick series comes with OWNER #16 ST36BC trebles (50mm), OWNER #16 ST36BC trebles (70mm) & #0 P04 Ring.